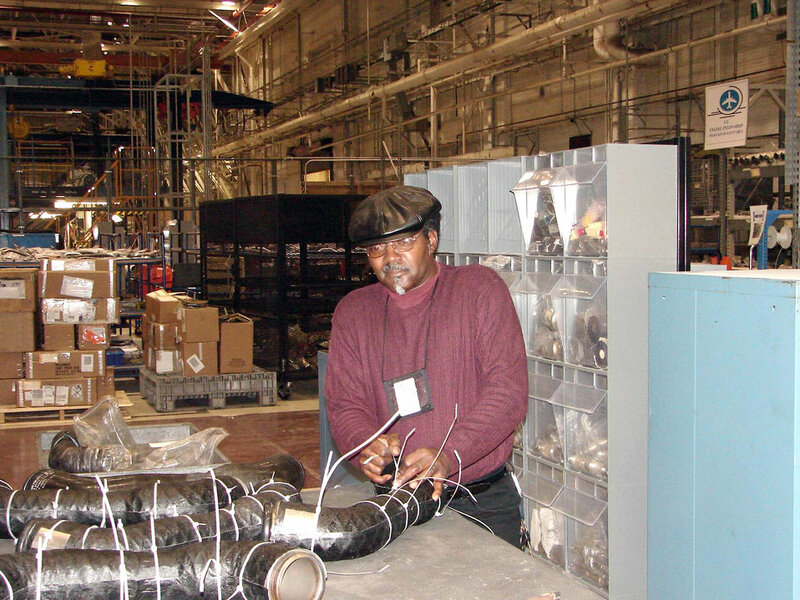 James Releford repairs the insulation on hot air ducts for C-5 Galaxy pylons. The Warner Robins Air Logistics Center at Robins Air Force Base, Ga., received the 2006 Franz Edelman Award for Achievement in Operations Research on Monday, May 1, 2006, for its use of operations research to streamline C-5 maintenance procedures. Using innovative management processes, the time required to repair and overhaul the aircraft was reduced 33 percent. Mr. Releford works in the center's C-5 pylon shop.